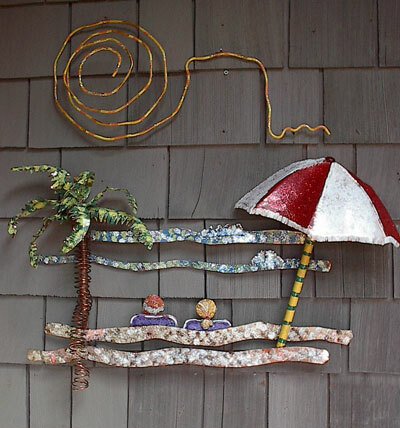 Several years ago while Michael and Diana were browsing through a local salvage shop they spotted a piece of sheet copper. 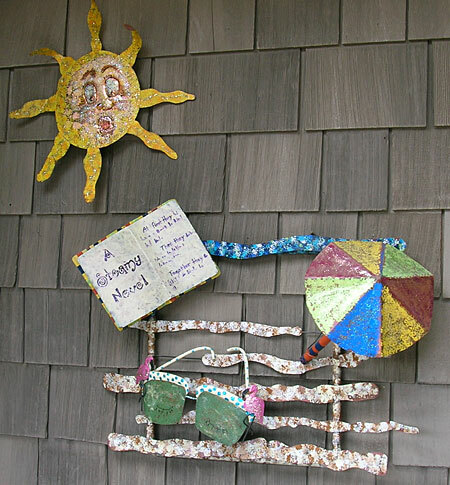 Hmmm, that looks interesting for a project they thought so it came home with them, sat around for a year or two and then became beach sculptures. 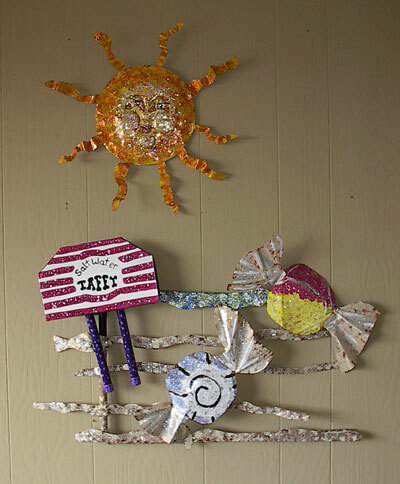 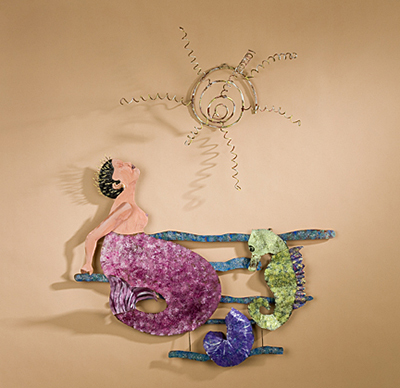 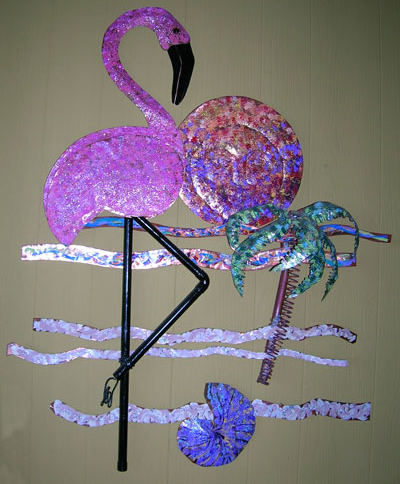 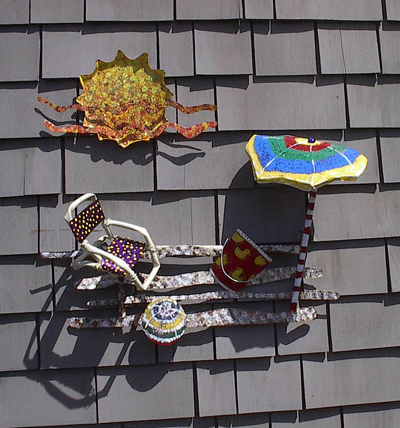 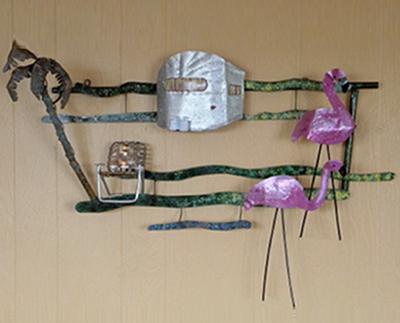 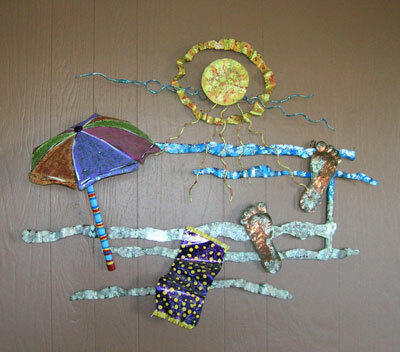 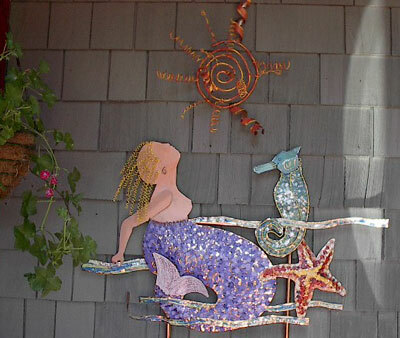 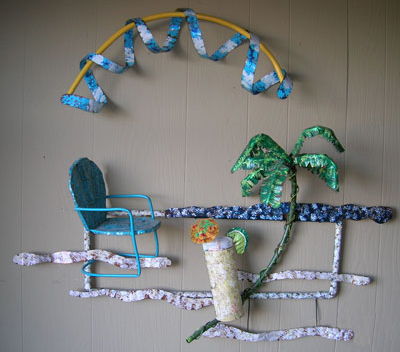 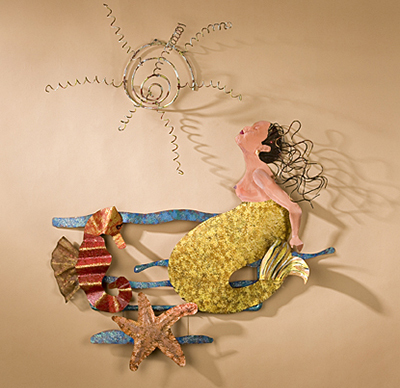 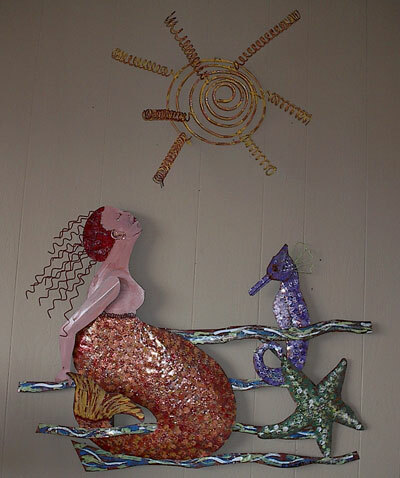 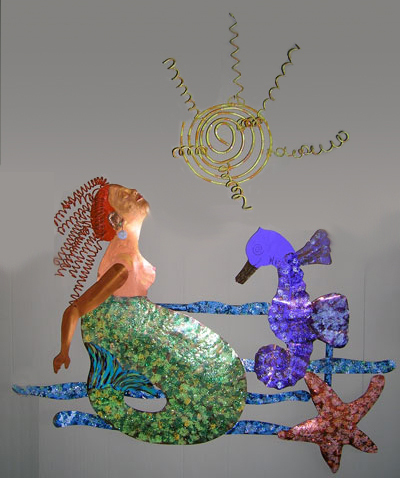 Each of the sculptures is made from all copper, painted with metal paint and glitter added for sunshine. 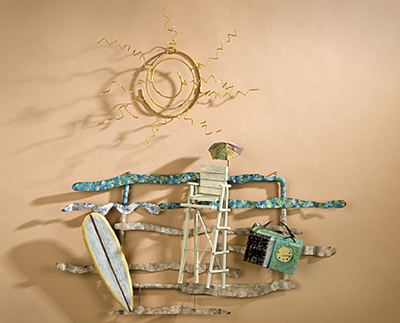 Michael uses copper in his shop to create large projects like doors, gates and fences or small projects like table tops, lights and more.